After the first two months, Tien Phong Commercial Joint Stock Bank’s (TPBank) profits after provision for risky loans nearly doubled year-on-year to 275.8 billion VND (US$12.14 million). The bank posted outstanding loans at 76.78 trillion VND (US$3.38 billion) and a mobilised capital of nearly 106.2 trillion VND (US$4.67 billion). Its non-performing loan ratio accounted for 0.97 percent of its total outstanding loans. 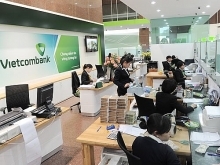 The general director of an HCM City-based bank, who declined to be named, said the bank’s pre-provision profit in the first three months of the year is estimated to be roughly 1 trillion VND (US$44 million). However, he said, in having to provision for the special bonds of the unsettled bad debts sold to Vietnam Asset Management Company (VAMC), the bank’s remaining profit in the first quarter is likely to be several hundreds of VND. With a favourable start, his bank expects a positive completion of the 2018 target. The leader of another bank with charter capital of over 15 trillion VND (US$660.8 million) said that compared to the same period in 2017, the bank’s profit in the first quarter is more positive thanks to the strong credit growth of some 3 percent compared with late 2017. 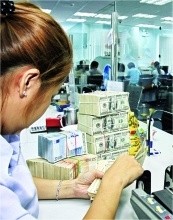 According to the State Bank of Vietnam (SBV), the credit growth of the entire banking system by the end of February 8 increased by 2.04 percent compared with late 2017 to 150 trillion VND (US$6.6 billion). In the first quarter of last year, credit growth was at 2.81 percent. Besides the high credit growth, banks said another factor that has helped them prosper in the first quarter is the positive bad debt settlement, as banks have not had to spend as much on risk provisioning as in previous years. Many banks have so far also impressed shareholders and the market with their profit plans at their annual general meetings (AGMs). 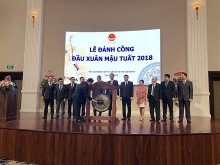 Opening the AGM season, Vietnam Technological and Commercial Joint Stock Bank (Techcombank) this month submitted a pre-tax profit target of up to 10 trillion VND (US$440.5 million) in 2018 to shareholders. The shareholders committee of Vietnam Prosperity Commercial Joint Stock Bank (VPBank) has so far also approved a 2018 pre-tax profit target of 10.8 trillion VND. Chairman of the board of directors (BOD) of Vietcombank Nghiem Xuan Thanh told tinnhanhchungkhoan.vn that the bank initially set the pre-tax profit target at 12 trillion VND (US$528.6 million), but this target is likely to be raised to 13 trillion VND (US$572.6 million). These targets for 2018 suggest unprecedented high profits for banks in Vietnam. Assessing the factors affecting the banking sector in 2018, analysts of Saigon Securities Incorporation (SSI) said credit will continue to be improved, in which the opportunity to proper of consumer credit segment is highly valued. According to SSI, the average cost of capital in 2018 will be reduced because of the government’s support policies and the significant improvement of the balance of payments in 2017 and 2018. Specifically, the operating and OMO interest rates were cut by 0.25 percent per year over the past year. The sale of stake in State-owned enterprises in 2018 will continue to attract a large amount of foreign capital, leading to the need to pump a large amount of local currency into the system. With the above factors, SSI forecast that profits at 14 listed banks including will surge at an average of 32.9 percent in 2018.